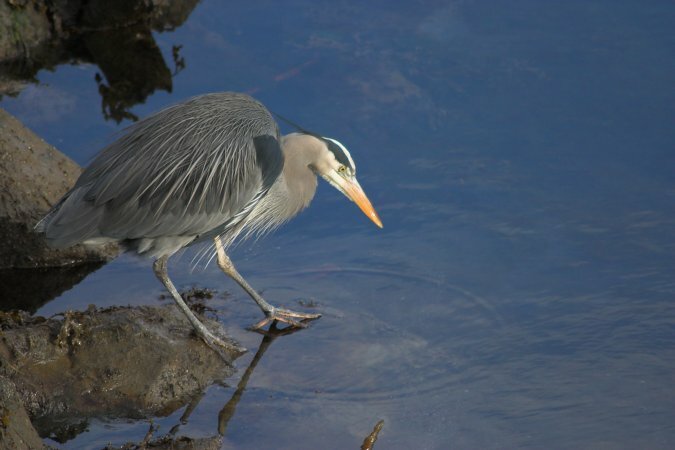 After eating the fish, the heron dipped its beak in the water a couple of times. I think it was just cleaning up, but in this picture it sort of looks like he is going to start fishing again. Unfortunately, I was running late for a meeting and had to get going, so I could not watch any longer.